It goes without saying that we all love Lego - the classic toy bricks have allowed us to explore our creativity and inner child ever since they were conceived over 60 years ago. They have since become a powerhouse of entertainment; we have toys, playsets, video games and countless tie ins to other franchises. However, something has always been missing - and that something has finally arrived as The LEGO Movie, the very first theatrical film based on our favourite toy bricks. Emett (Chris Pratt) is an ordinary Lego minifigure who, after an incident at work, accidentally finds the mythical Piece of Resistance - making him the chosen one of a prophecy which lists him as the hero to stop the evil Lord Business (Will Ferrell) from gluing the Lego universe together. With the help of his new allies Wyldstyle (Elizabeth Banks), Batman (Will Arnett) and Vitruvius (Morgan Freeman), Emett must complete the quest he was chosen for and prove that he can be the hero others believe him to be. The LEGO Movie combines a very small amount of stop motion with some gorgeous computer animation, bringing this Lego universe to life in a convincing and hilarious manner. Fans of the age old bricks will love the nods and references to all the pieces and past franchises throughout the film, including Bionicle and Duplo, and these wonderful aesthetics are topped off with some superb vocal performances across the ensemble cast. The story may look like a generic 'prophecy chooses underdog' tale at first glance, and it inevitably carries the cliches of such a storyline. But there is surprisingly a bit more depth to this narrative, and it culminates in a manner that's rather original and with a pleasing moral. The emotional side is handled carefully but the real meat of LEGO Movie is its beautifully timed and self referential comedy - there's a barrage of jokes hurled at the audience in every scene, be it quirky dialogue, cultural gags or slapstick. There's very few that don't work, and for the majority of the film you'll be in stitches. Pacing is perhaps a bit of an issue here - the arrival of the climax feels a bit rushed and Emmett doesn't fully develop as a character over the course of the film, but seems to change on the spot during the final act. A surprising twist in the climax is initially awesome, but ultimately drags to the point of creating an awkward turn for the story which feels a little unusual, even if the ending resolves everything nicely. 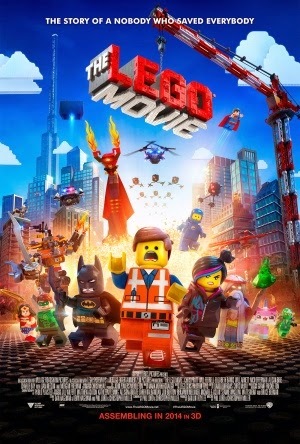 With that said, The LEGO Movie is good fun for all age groups; while definitely not up there with Disney hits, it's far from a generic animated comedy thanks to its original premise and hilarious vibe.